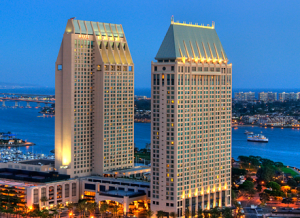 St. Mark’s Annual Family Retreat is scheduled for May 26-28, 2012 at the Grand Hyatt Regency Hotel in San Diego. God willing, we will be joining St. Maurice Church and the Holy Virgin Mary Church. His Grace Bishop Raphael will be blessing this retreat and covering multiple spiritual topics. There will be programs and activities available for all age groups. Food is available for purchase at seaport village adjacent to the hotel.